As an occupational therapist or occupational therapy assistant, you are part of a vitally important profession that helps people across the lifespan participate in the things they want and need to do through the therapeutic use of everyday activities. Your holistic and customized approach to evaluations, interventions, and outcomes help a child with disabilities participate in school and in social situations, assist a person recovering from injuries to regain skills, aid an older adult to stay as independent as possible, and offer the specialized support and services to people of all ages and in all circumstances that only occupational therapy can provide. Take our member survey and win A FOTA19 Conference Registration or FOTA T-Shirt: We are asking that our members complete a survey. You will have an opportunity to win a FOTA19 Conference Registration or a FOTA T-shirt. This is a quick 5 minute survey. Drawings to take place May 3, 2019. 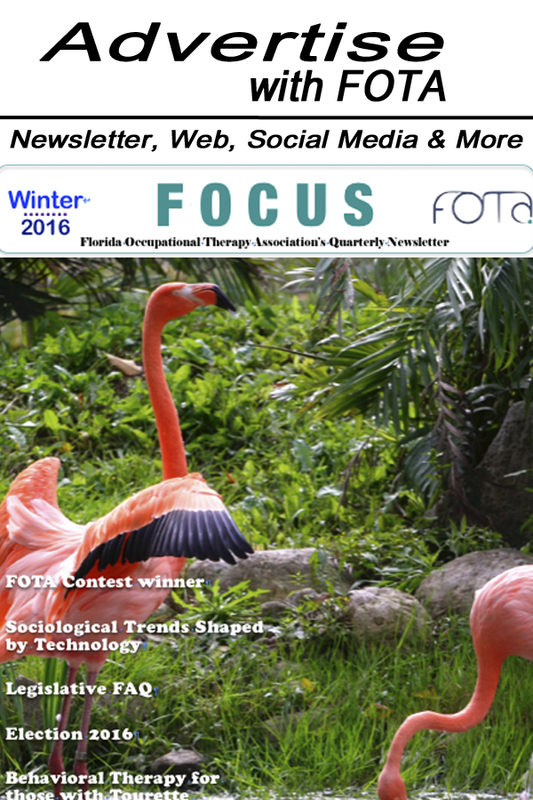 Share your OT Photos with us on Facebook and help promote our profession. Visit our Facebook page here: FOTA Facebook. We ask you to submit photos of OTs in action! Please ensure you have rights to publish any photos with patients before sending to us. Send them to our Facebook page or [email protected] with subject: OT MONTH. Please give a description and i will post that as well. Thank you for your support of FOTA! 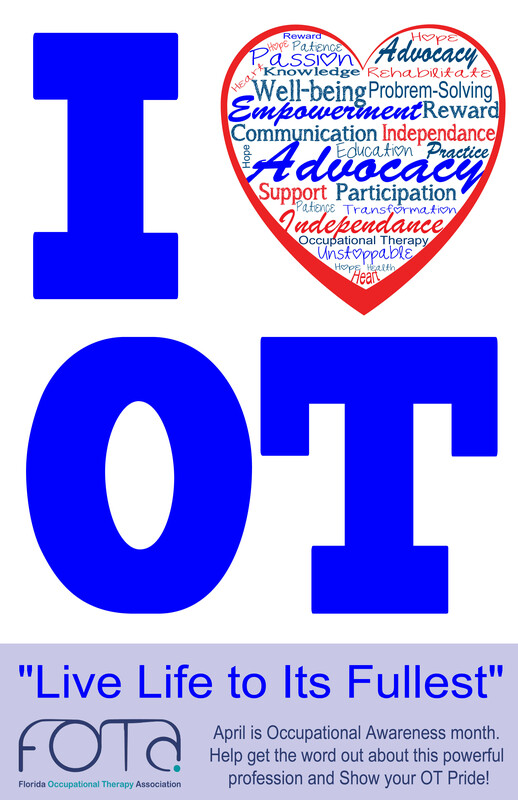 Free Graphics to Download: Promote OT Online: AOTA has many graphics available for use to help spread recognition throughout the month. Use hashtag #OTMonth: During OT Month, when you tweet information about the profession use the hashtag #OTMonth. The more people who use a hashtag, the better chance it has at becoming a "trending topic," and gaining the interest of others. Help make #OTMONTH a top hashtag by tweeting it throughout April. Bring awareness to our profession.